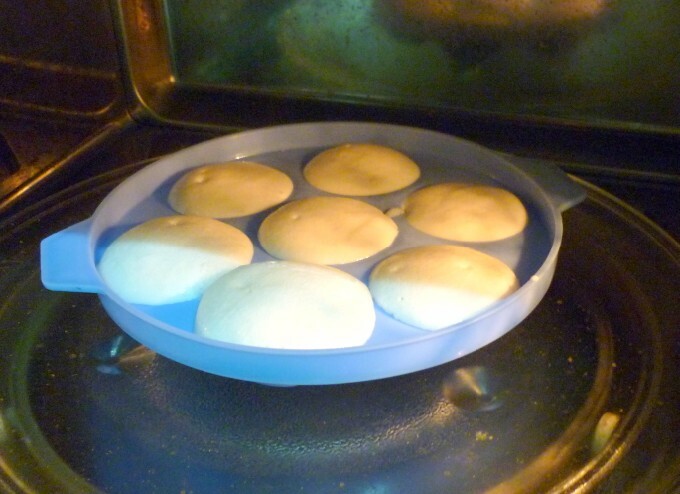 For the second week of Blogging Marathon, I decided I should cook for Kids. This month’s Kid’s Delight edition is hosted by Harini and she chose Dressing up leftovers for Kids. As you might know, this space is more about cooking for kids and the various ways I try to find out dishes that my kids eat without fuss. To be honest, I normally never deal much with leftovers. Remember leftovers can be what you make for lunch, served for dinner right. This does happen at home at times. Otherwise the concept of refrigerating and eating for the next day is completely not done. Our climate especially doesn’t really help on that. When I was thinking about the leftovers, the only options I can always come out first will be with Idlis. Now don’t ask me why. Especially when none of my kids actually like that much. Konda eats it with either coconut chutney or with podi, mostly made as Mashed Idli with podi. While Peddu eats it with groundnut chutney or sambar. Chinnu will not even touch it! So making it with Podi was the only option I was left with. 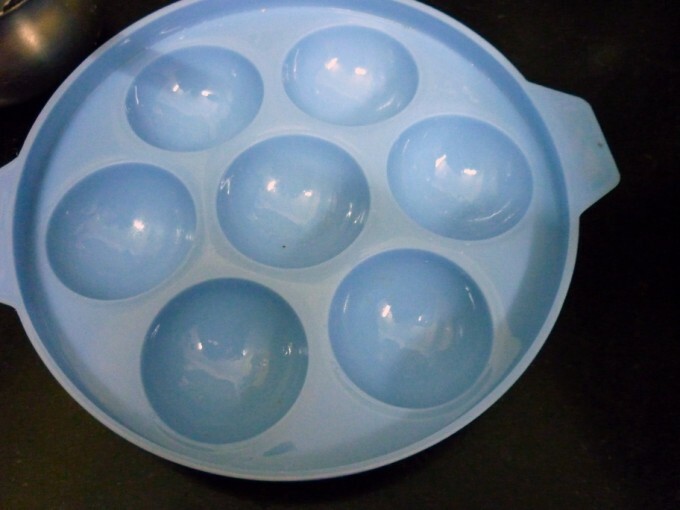 Must say it was delicious as I eat it too..
Then I remembered that I had got this microwave paniyaram maker sometime back and never really got around using it regularly. so decided that this will be done in Microwave. These are quite big, meaning about 2 of these will make up your regular single idli. And the cooking time is just 3 minutes. 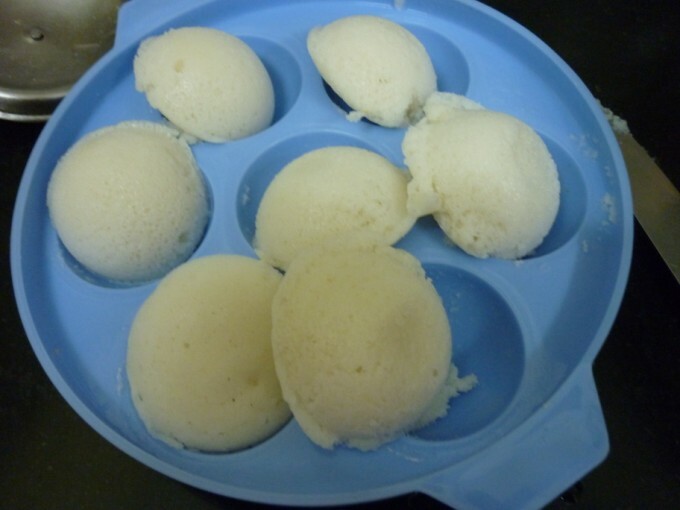 Step by Step Picture Recipe for making Idli with Podi in Microwave. Grease the microwave safe paniyam bowl with oil. 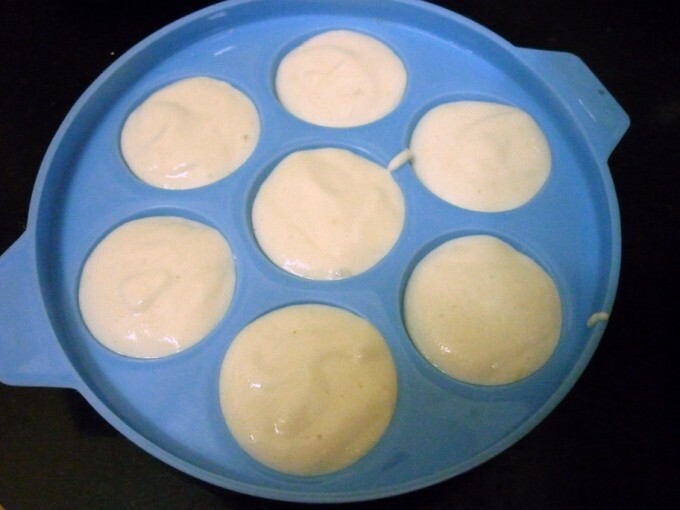 Fill the dents with Idli batter. Microwave for 3 minutes. 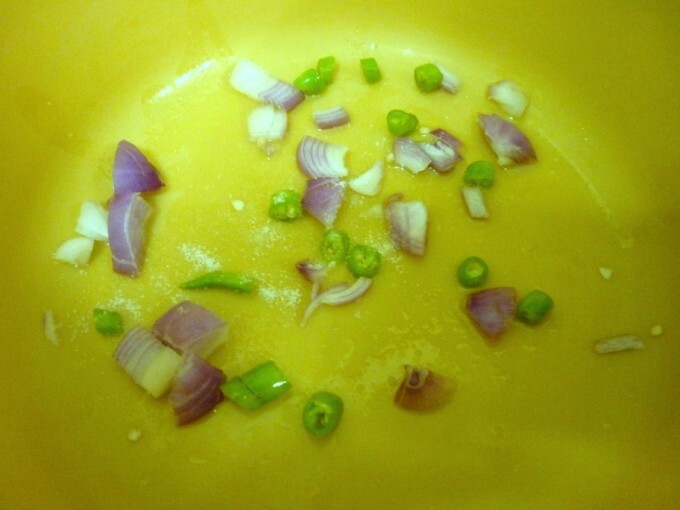 In a microwave safe bowl, add chopped onions, chilies with 1 tsp of oil. Microwave for 1 min. 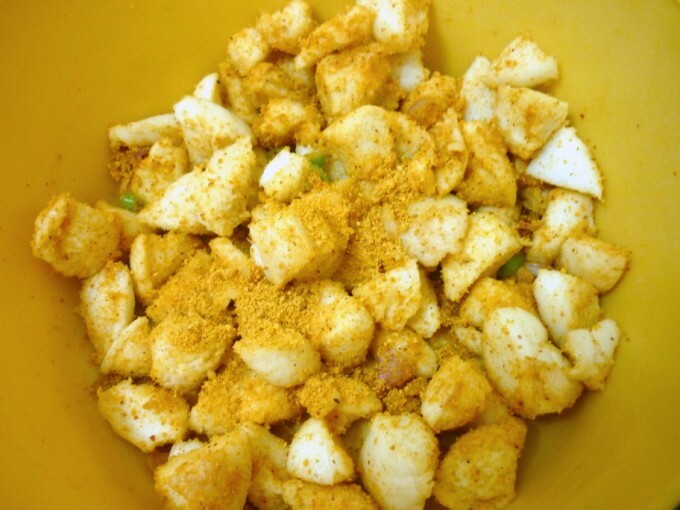 Then add roughly cut idlis, add the podi along with ghee. Microwave for 1 -2 mins. Finally garnish with finely chopped coriander leaves. 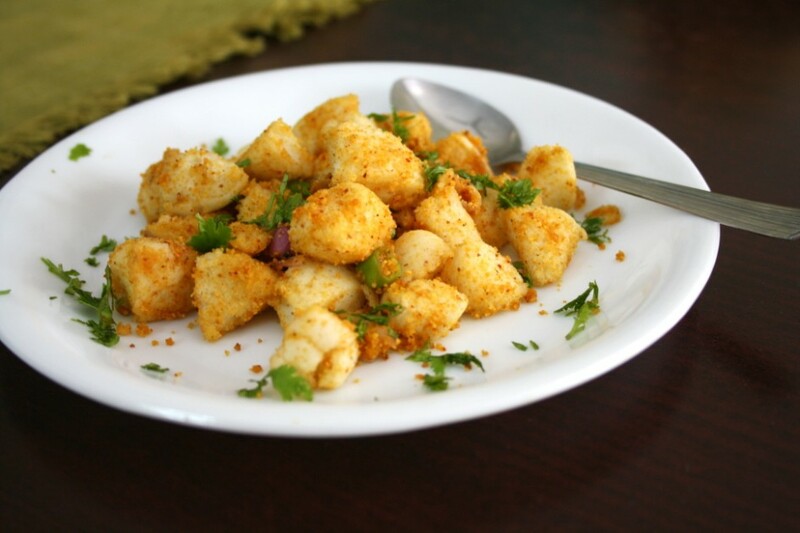 Nice twist to the idli! I do idli upma with leftover idlis. Adding podi sounds interesting. Lovely even my kids refuse idlli so this is a definite option. Yum yum, love it..Waiting eagerly to see ur next post. healthy – i love the way you use up the microwave Valli. 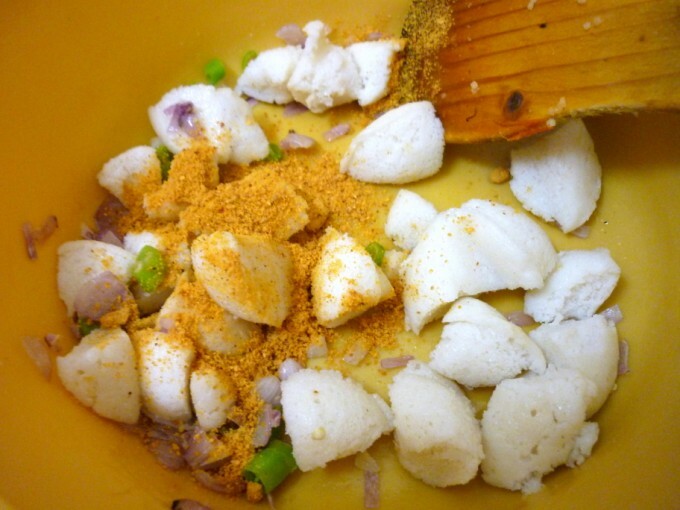 Wow…This looks delicious..Totally yummy..My mum does this always with left over idlis..
i made this and took pictures….didnt make it to the blog yet…but its my fav breakfast! 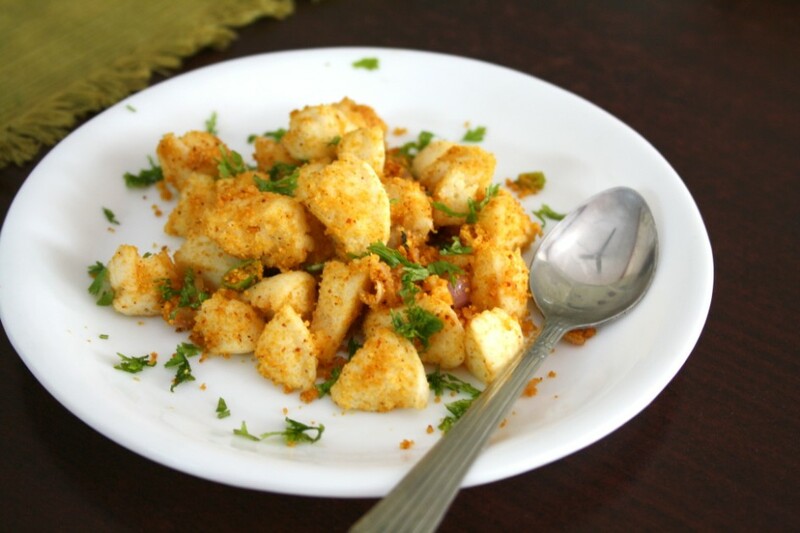 What a great way to eat Idli. A similar version used to adorn my Lunch box when I used to go to school! Lovely! 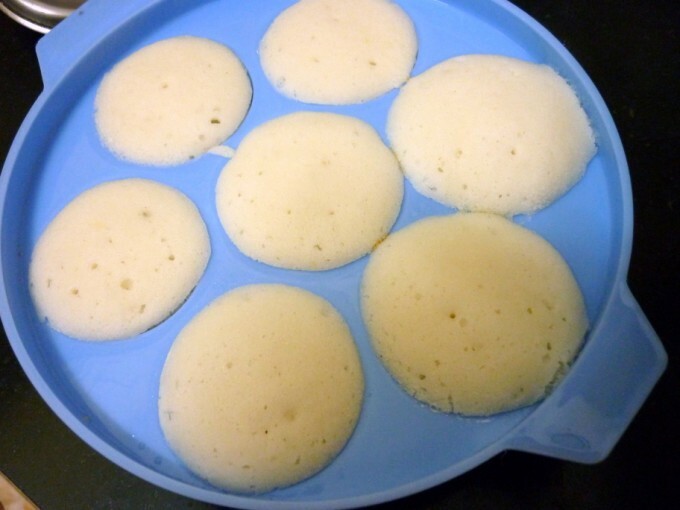 lovely will try them today itself…have some leftover idlis.. 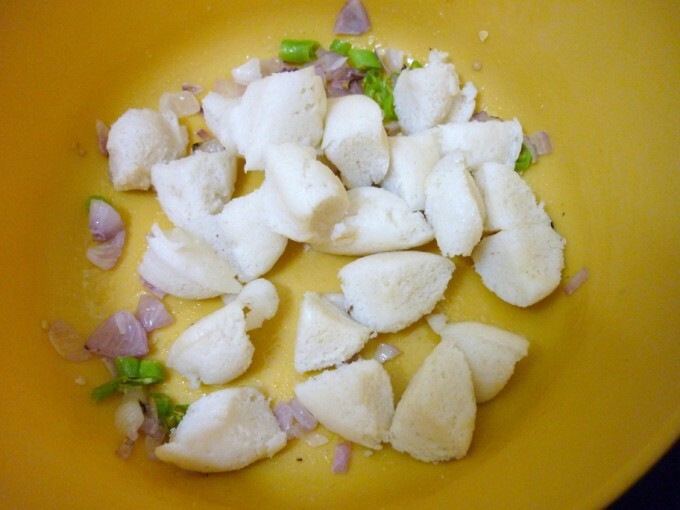 Interesting twist to leftover idlis.